Lustrous locks, whether short or long, look extremely attractive. 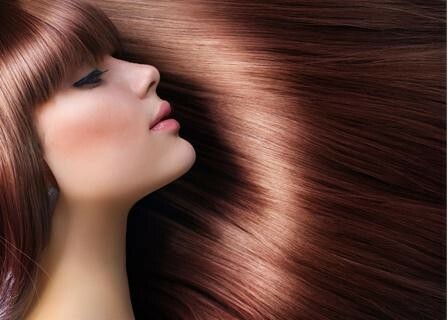 Apart from being a sign of beauty, having soft and shiny indicates that you have healthy hair. Thus, you need to follow a good hair care routine and improve your diet. For instance, to give a wonderful sheen to your hair, you can apply a mixture of two tablespoons of honey and two cups of lukewarm water on your lustrous locks after washing them. Finally, rinse your hair with cold water. • Brush your hair at least once daily to remove dust and avoid tangles. Preferably, use a boar bristle brush. Do not brush wet hair, though. • Trim your split ends regularly, especially if you have long hair. It makes your hair look smooth. • Always condition your hair, particularly the ends, after shampooing. • Though not proven scientifically, it is believed that rinsing your hair with cold water after washing makes them lustrous and shiny. • Use an acidic finishing rinse on your hair at least once in a week to get rid of chemical buildup on the scalp due to shampoos and conditioners. • Avoid straightening your hair too often. Plus, consider using a hair protectant before applying heat. • Drink plenty of water throughout the day to maintain healthy skin and hair. • Simply rinsing your hair with beer is one of the most widely used home remedies to get shiny hair. You may also consider using an infusion of tea leaves boiled in water. • To remove scalp residue and enliven your locks, use a mixture of lemon juice diluted in water. Besides, you can use a combination of lemon juice (squeeze half a lemon) and two tablespoons of apple cider vinegar in cup of water. • Prepare a hair mask by mixing an egg in a cup of yogurt. Massage this recipe on your scalp and hair. Leave it for about 10 minutes and then rinse it off. It increases shine in your hair and helps remove static cling. You may also add lemon juice and squeeze the contents of two vitamin E capsules in it. • Another homemade recipe for improving the shine and softness of your tresses involves using a mixture of two egg yolks, one tablespoon almond oil, and a few drops of rosemary essential oil. Make sure you wet your hair before applying this mixture. Wash it off with cold water after about an hour. • Apply a mixture of an egg, one tablespoon of white vinegar, and two tablespoons each of olive oil and honey. Let it stay for 15 minutes and then wash it off. • Take a portion of your shampoo (the amount you want to use) and add a teaspoon of baking soda in it. Shampoo as usual. This is a simple solution for enhancing shine in your hair. • Another easy remedy for getting shiny hair is to wash your hair with a quart of warm water mixed with a teaspoon of honey as a final rinse after shampoo. • To improve the quality of dry, frizzy, damaged hair, wash your hair with a mild shampoo and then apply a combination of a raw egg and half mashed avocado. Finally, wash it off with cold water and then use beer as a final rinse. • Prepare a combination of one tablespoon of mayonnaise and some mashed strawberries. Apply this hair mask on wet hair for about half an hour and rinse it off with lukewarm water. When considering about using herbal infusion to bring our shine and smoothness in your hair, use rosemary or sage for a dark mane and chamomile for light or blonde colored hair. is it too much if i do the aloe vera gel on my scalp and when im in the shower add the beer? ?